The legacy of the fixed gear bike is alive and well. If you are not so familiar with “fixies” as they are know this article will take you through a brief history of the fixie bike and preview LEKKER’s favourite fixie bikes from the range. LEKKER fixie styles cater to the modern commuter, gliding effortless in and out of traffic on the way to work during the week and to your favourite cafes and hangouts on the weekend. Why are Fixies Still so Popular? There are a number of reasons why Fixies have become so popular. One reason is the look and the style of the bike which is designed for urban cycling and minimalist in appearance. The Fixie allows you to sit in more of an upright position compared to a traditional road bike or racer giving you greater control. Plus they look cooler than a traditional racer. A “true” fixie bike has no brakes and only a single fixed gear (but don’t worry, LEKKER fixies come with options including brakes and gears!). Fixie riders who ride without brakes have to anticipate their next move much farther in advance than their free-wheeling friends. 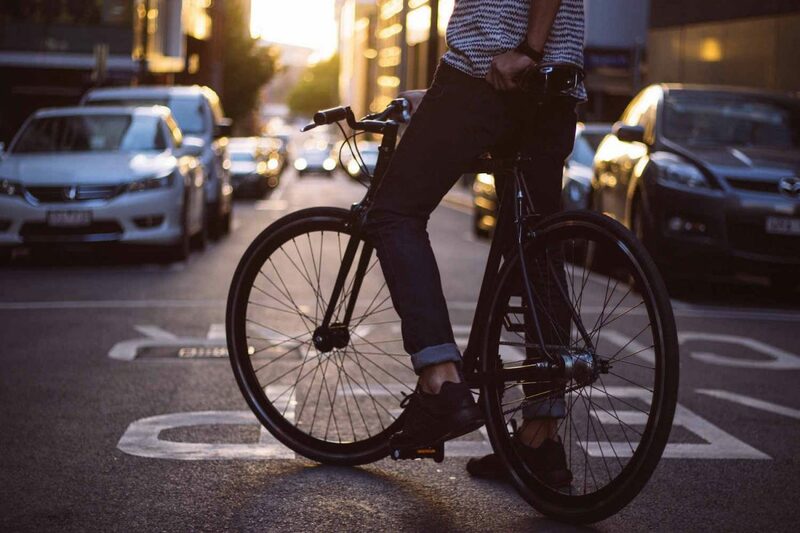 A fixie rider must learn to understand the movement of traffic and react accordingly. This can be exciting and certainly gives the rider an added sense of accomplishment when they do finish up their ride. How Does a Fixie Work? The fixie name comes from the fact this type of bicycle has a fixed gear. Essentially meaning you are unable to ‘coast’. This style of riding is truly very different to what you may be used to if you grew up learning on a bike with gears. This style of riding will give you a closer sense of connection to your bike. Basically, the cog on the rear wheel is bolted or “fixed” directly to the hub meaning the pedals must go at the same speed as your rear wheel. Therefore, the pedals can be used to slow down the bike. LEKKER have a range of fixie bikes available, for a range of different styles of riders. Take a look around to find out more about all our different bikes available.